A huge shark was caught off the New Jersey coast. 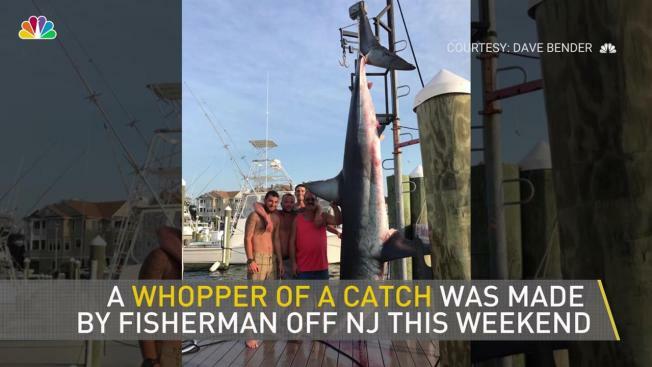 A massive shark reeled in by fishermen over the weekend appears to be the heaviest of its kind caught off New Jersey. Dave Bender and his five fishing mates caught the 12-foot, 926-pound mako during a fishing trip over the weekend off the shore of Brielle on Bender's boat, the Jenny Lee, Patch.com reports. After the shark took the bait, it took about 90 minutes to get the shark close enough to the boat to land it. The men reeled it in, the rod snapping in the process, and then took another hour to wrestle it into the boat. "Fish of a lifetime, to say the least," Bender wrote in a Facebook post. 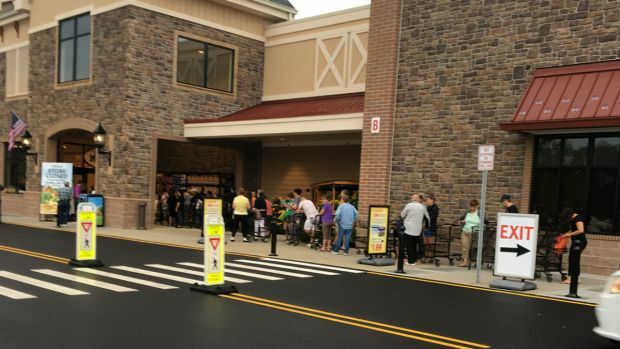 Massive Crowds Gather in NJ ... for a Grocery Store? Though the shark is 70 pounds heavier than the current state record -- an 856-pounder caught in 1994 -- it won't be an official state record because it was landed through the combined effort of the six men who chartered the boat, Patch reports. The state only recognizes fish caught by a single angler. The world record catch for a shortfin mako is the 1,221-pound shark caught by Luke Sweeney in July 2001 off Massachusetts, according to Patch. Shortfin mako sharks are highly migratory, and move quickly and intelligently in water, according to Oceana.org. The shortfin mako shark is one of only very few shark species known to have bitten and killed people, but the events are extremely rare and likely accidental. Everywhere they live, mako sharks are either targeted commercially or captured accidentally in fisheries targeting other species, according to Oceana.org. They're valued for the high quality of their fins and meat, sparking concerns their population may be decreasing.